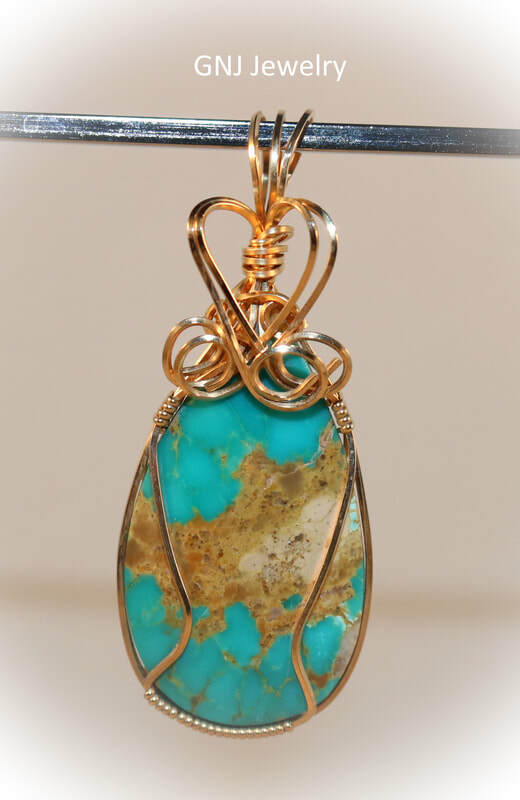 Wrapped in gold filled wire, turquoise pendant measures 1 3/4" in length including the bail and is 1" wide. Turquoise all wrapped up in sterling silver. 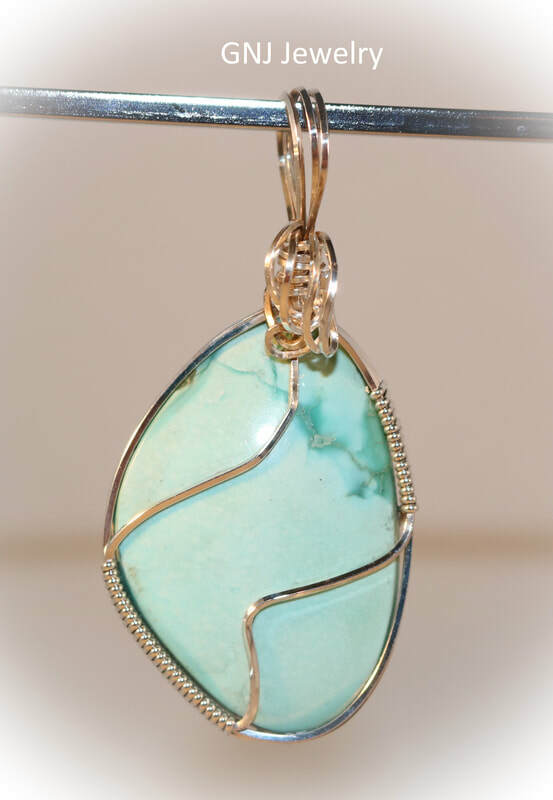 A turquoise cabochon wire wrapped in sterling silver. Not sure of the stone but it reminds me of turquoise, thus I listed in turquoise pendants. The stone was found in Montana. It is wire wrapped in sterling silver. A beautiful Chryscolla cabochon that is wire wrapped in sterling silver. 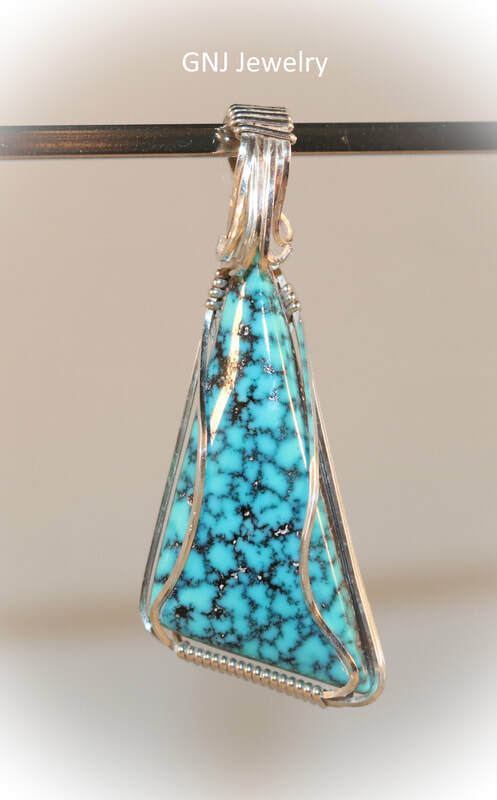 Turquoise wrapped in Sterling Silver, pendant measures 1 1/2" in length including the bail, 1" in width. Malachite cabochon is wire wrapped in sterling silver and decorated with black and sterling silver beads. At one time, I didn't know what this was and it has recently been identified as Malachite. A blue turquoise cabochon wire wrapped in sterling silver. Blue Turquoise all wrapped up in sterling silver. A reconstituted turquoise cabochon wire wrapped in gold filled wire. 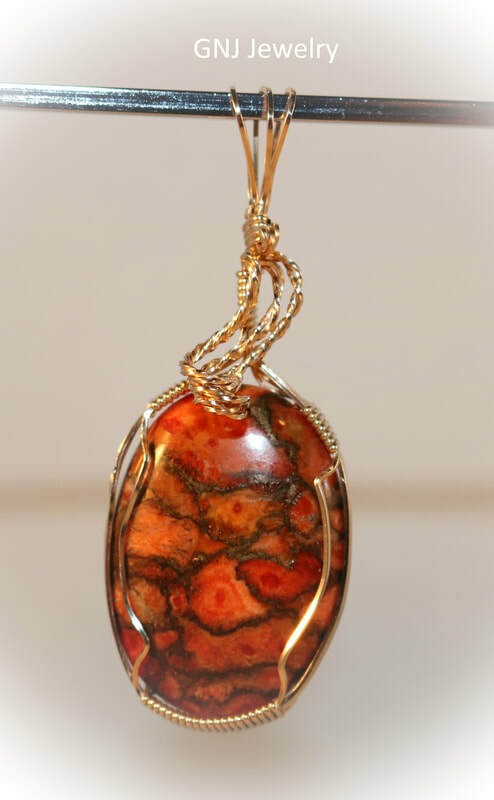 An Orange and Bronze Turquoise Pendant wire wrapped in gold-filled wire. I do presume that this is a dyed, reconstituted piece of turquoise similar to Mojave Turquoise.